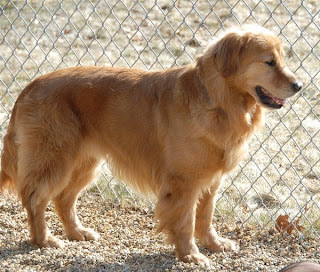 Clifford the handsome Golden, left for his new home this morning. His new family has 3 kids, so he should get plenty of attention. The Pomeranian picked up by Medfield Animal Control was claimed by her owner this morning. We were concerned when no one called last night that she might have been dumped, so we were very glad when they came to get her today.